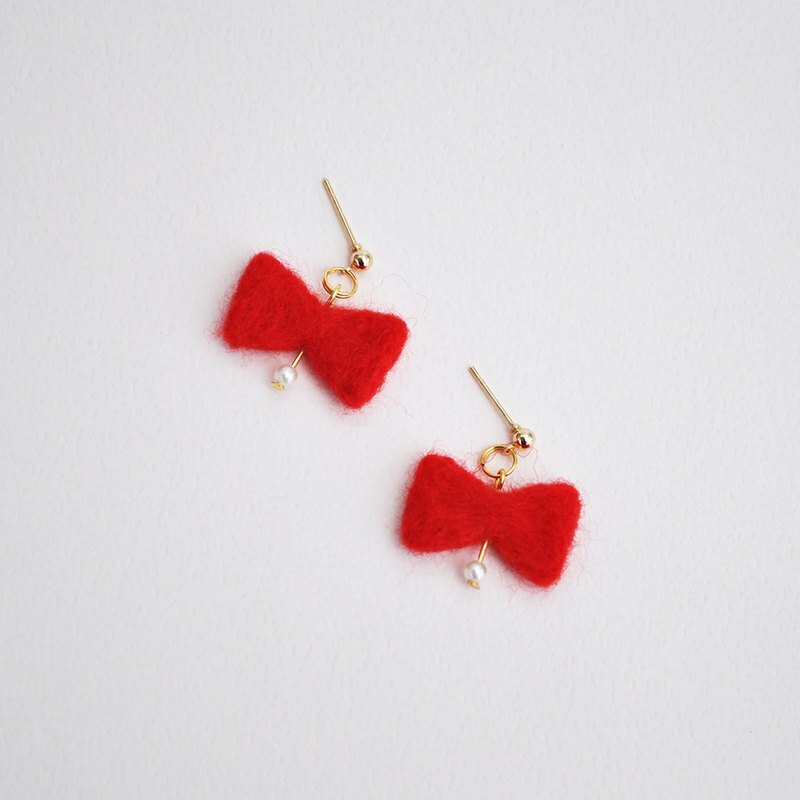 Product Name: Small Bow Tie Wool Felt Earrings Material: metal, wool felt, beads Size: about 2.2cm (width) × 2cm (height) ※ does not contain the length of the ear or ear clip There are 3 colors to choose from: red, pink, light pink This ear clip is made of gold-plated brass. (The cost of the ear clip is higher, so it will be different from the price of the ear hook. Please bear with me!) **There are ear plugs!! ** Precautions: 1. There are some problems with asymmetry and size difference in hand-made. If you can't accept it, please don't buy it. 2. It is not recommended to touch the water. If the wool felt accidentally touches the water, please gently dry the surface with toilet paper and place it in a ventilated place to wait for natural dryness. Do not force the wool felt strongly, it will cause the wool felt to deform, usually not When wearing earrings, it can be enclosed in a sealed bag to block the air, which can reduce oxidation. 3. The photo will have a color difference, which is mainly received. 4. With the use of time, there will be phenomena such as falling off, fading, oxidation, rust, etc. If it is unacceptable, please do not buy it. 5. If allergies occur when wearing, stop wearing. 6. Check if the receiving address is correct before subscripting (all the design halls will be mailed, not using SF). In the event that the mail cannot be delivered, the buyer must pay the return shipping cost and the shipping cost again. Unable to accept subscripts.